So lately I have been adding matcha powder to my diet since it contains so many benefits for your body. I wanted to see if there was a way to add it to my beauty routine. Matcha powder is basically ground up green tea leaves and green tea is great for redness! I decided to use my matcha powder and turn it into a mask and it worked out amazingly! I wish I took a before and after of my face because before I used this mask I was picking my black heads with my pore extractor so my t-zone was all red. After I used the mask it was all gone! This mask is super easy to make (it probably took me a minute) and used with ingredients you can most likely find in your kitchen. To transform my matcha powder into a mask, I add honey, coconut oil, water and tea tree oil. Other than redness, matcha powder is full of antioxidants and natural antibiotics. Matcha will detox your skin as well as protect it from harmful effects. Besides it having a nice consistency, I added honey because it has antibacterial/anti-fungal benefits great for acne, it is a pore cleanser, and a natural humectant. It is optional but I added a few drops of tea tree oil to give the mask an extra kick to fight acne. Simply mix ingredients together until it is a wet paste consistency. Apply to a clean face and leave on for about 10-15 minutes. Rinse of with lukewarm water while massaging off with fingers. 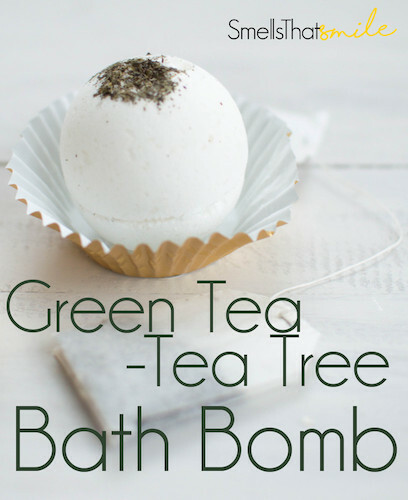 This bath bomb is super easy to make and smells and feels so refreshing! The green tea has many benefits to the skin, it helps fight acne and improves skin complexion. Along with acne it has anti-aging and antioxidant benefits. Tea Tree oil also has some great benefits. Tea tree oil is my go to for when I have a break out. So the tea tree will live your body a very cleansed feeling. Happy Margarita Monday! 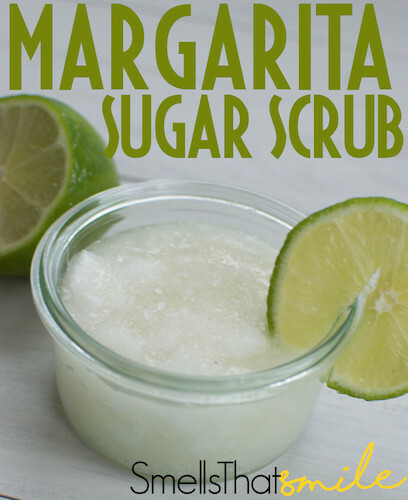 I want to share with you my Margarita Sugar Scrub great for your body and your face. It really does look and smell like a Margarita and there's nothing wrong with that! This scrub is overall great for any skin type, but can be very beneficial for acne prone skin because of the lime and witch hazel. The sugar is nice and gentle exfoliate compared to salt which is perfect for your face and sensitive skin. And the coconut oil leaves your skin feeling smooth and hydrating. For my first blog post I was inspired by this cold winter weather. It leaves me with skin so dry and dreams of being at the beach. 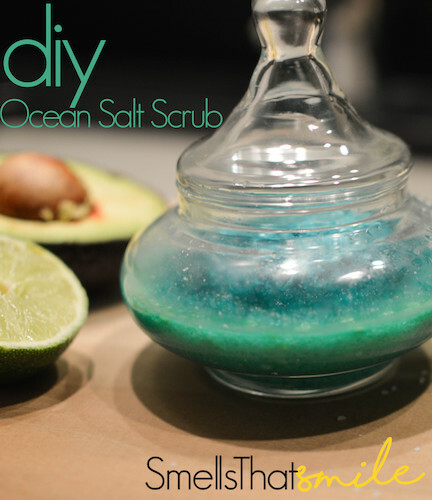 So I decided to share my DIY of Ocean Salt Scrub inspired by Lush. This scrub can be used as a body and facial scrub. I love Lush products but my problem is my closest store is an hour away and some things can be a bit pricey. So this DIY is a great alternative. Whats great about this scrub is that the ingredients are so beneficial to the skin. Besides salt being a great exfoliant by removing dead skin. Avocado's fatty acids are very moisturizing to the skin. Witch hazel will remove excess oils and shrink pores (which is great when using it on your face! ), it is also know to treat blemishes and fade bruises. Since lime is a citrus fruit, it is full of Vitamin C, citric acid, and flavonoids. This allows lime to have many benefits and is rejuvenating to the skin. The Coconut milk is full of natural proteins and vitamins that leave your skin feeling smooth and radiant. So this scrub is perfect for when your skin is feeling dull and dry.